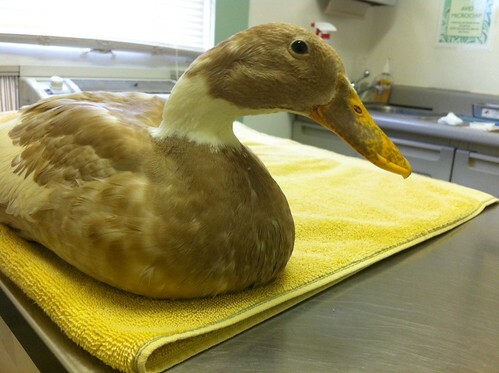 What’s wrong with my duck? Whew! Now, how confident are you in all of those suggestions? What do we really know about her ear, how it got infected, what other medications she is taking, what other symptoms she may have or whether or not she’s already tried some remedies? This is pretty similar to the quality of feedback you’ll get online if you ask what’s wrong with your pet duck (or chicken). 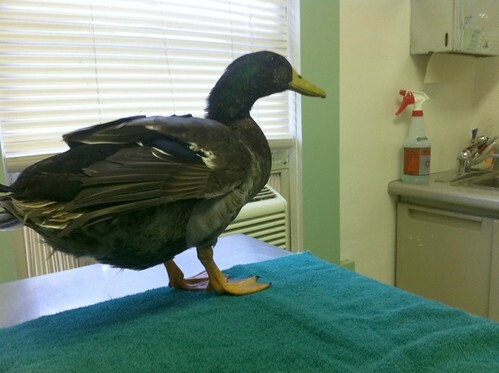 If you have a duck and your duck gets sick or injured, and you don’t know too much about ducks, how well are you really describing your duck’s symptoms? 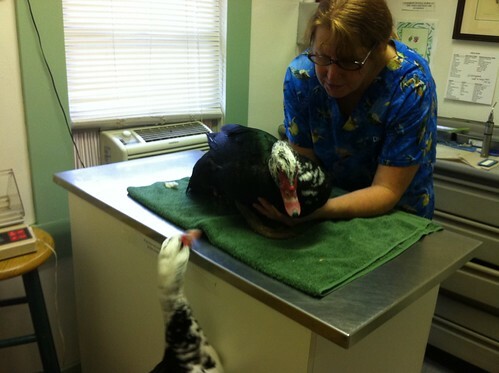 The only responsible diagnosis is made from a qualified avian veterinarian using diagnostic tests like blood work and/or x-rays. This is an in-person exam and real test results. Anything other than that is a guess. And because it’s a guess, it could potentially do much more harm than good. People are very eager to offer help, too. But the potential for harm is just too great. So please be cautious and think twice about asking for advice online for your sick or injured pet. In addition to what’s posted there, I’ll also note that we see a ton of reproductive issues with young ducks and chickens. Egg-related problems are far too common in birds domesticated to lay too many eggs. Reproductive cancers can occur before the first year even, and peritonitis, yolk coelomitis and egg binding are extremely common. Another egg-related problem is prolapse. That’s where part of the inside of the duck or chicken is exposed through the vent. 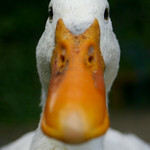 This can also happen to drakes who mate too much or injure their phallus. They end up with prolapse that will result in infection, necrotic tissue and death if not treated promptly. 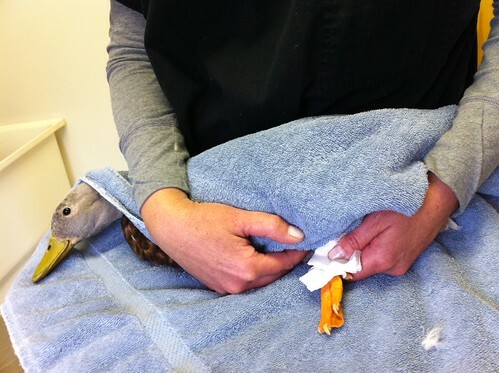 Ducks also get respiratory infections or other infections that often can be cleared up very easily with 10-days of the correct antibiotic. But it’s important to know what kind of infection you’re dealing with, so the treatment can be effective. I wish we could provide simple, free answers for people with sick or injured ducks and chickens, but it just wouldn’t be the responsible thing to do. Hopefully the information here will be helpful for knowing what types of problems to look for, so you can catch them before they’re too serious. We’ll also post a “check-up” check list soon on how to monitor the health of your duck or cluck before they have a problem. As always, quacks and clucks from the flock.